Stephen has been a Director since 1995, supporting his staff to excel in all areas of professional Estate Agency and customer service. Stephen comes from a strong corporate background and has acquired a wealth of knowledge of the local area and surrounding villages. Stephen's friendly and passionate approach to business gives David Martin Group the cutting edge within this busy market place, building important relationships with his clients. He has lived in Colchester most of his life and away from work he spends time with his four children and pursuing his passion in golf. John has previously managed the whole of the South-East Region for one of the UK’s leading corporate firms before joining David Martin Group. John’s knowledge of the property industry is second to none! David Martin Group has grown since he joined in 1995; with his expertise and tenacity John has built strong relationships with his clients and local developers which has been key to delivering more business and creating a personal approach. 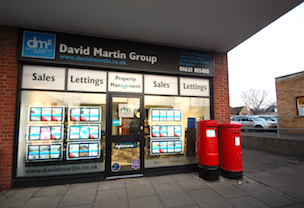 Being one of the leading/ local independent Estate Agency firms in Essex, David Martin has four branches in the local area and villages which John manages. Together with his business partner, Steve, they are always looking to expand their business and create more exciting opportunities for their staff to develop and grow. In his spare time John spends time with his wife, four children and enjoys travelling when he can. Hayley has been with David Martin since 2007. Hayley is now the Branch Manager and Senior Valuer in the Tiptree Branch. Hayley’s local knowledge and enthusiasm for the industry is unrivalled and the reason she is highly respected and successful. She enjoys spending time with her husband and two young children out of work. Jonathan was born, raised and lives in the Colchester area. Having worked locally for the majority of his 16 years within the industry his local knowledge of Colchester and surrounding villages is second to none. Jonathan started his career in one of Europe’s largest independent Estate Agency’s working his way through the ranks picking up various top performer awards along the way. He has also gained an exceptional reputation for his enthusiastic and tenacious approach to all aspects of buying and selling homes in the area. Jonathan believes in providing his clients with excellent customer service, transparency and endeavours to exceed all their expectations. Amber joined the Property Management team in 2015 to start her career within the Lettings industry. With her proven customer service skills, professional approach and management style, Amber has fast tracked into this role and manages over 300 properties alongside the Property Management Team. Amber will ensure all your property management needs are met and your investments are very well looked after. In her spare time Amber enjoys long walks with her dogs and attends karate twice a week. Nicky joined the Hythe team in 2014 with her wealth of knowledge in Lettings; she has 18 years’ experience in the business. Nicky knows the market in Colchester very well. She currently lives in Dovercourt. Stephen has been heavily involved with the property industry from an early age, and has gained an exceptional understanding to be able to assist his clients and exceed their expectations. Stephen has a friendly and charmful charisma, as well as being very reliable, punctual and professional. Making him the ‘go-to’ person for all your buying and selling needs. Natalie joined the Property Management team carrying out our routine visits on the managed properties then moved into the letting team as Senior Property Consultant, thriving on the new challenge of looking after landlords properties and securing new homes for tenants. Natalie has over 20 years experience dealing with professional bodies and members of the public and lives in Dovercourt with her partner and three sons. Grace has recently joined David Martin in August 2017 after working for one of the UK's largest independent estate agents for two years. She is a friendly, bubbly and personable character who prides herself on delivering exceptional customer service to all our clients. Grace constantly works above and beyond the call of duty to try and find her clients their perfect home. 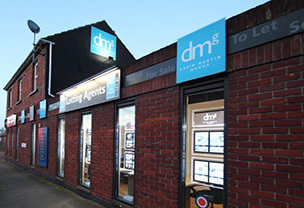 Connor joined DMG two years ago as a Trainee Estate Agent. Living locally means his extensive knowledge within the property market alongside his drive and ambition, he is able to find the perfect property for any buyer! Connor enjoys playing football, going to the gym and spending time with his friends outside of work. Jess has worked for DMG for over two years. Coming from an Estate Agency background makes her the perfect person to look after and oversee all our administration within the Colchester area. Jess prides herself on delivering excellent customer service and is always available for your admin needs. Jess enjoys horse riding and spending time with her two young children outside of work. 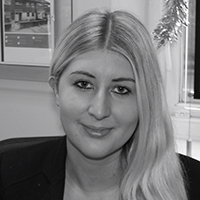 Claire works within our Lexden office managing our property portfolios, details and marketing. 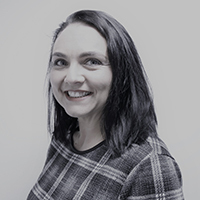 Claire takes pride in ensuring high standards throughout her work having come from a strong admin focused background, specialising in audio typing, credit control and human resources. Claire's attention to detail and excellent customer service plays a key role to the smooth running of the office. Claire lives locally with her husband and two daughters. Wendy works with Property Management, handling rental accounts, gas safety certificates and other maintenance issues. Wendy has been with DMG for seven years and is a very valued member of the team. In her spare time Wendy enjoys spending with her family and friends. Danielle works alongside Wendy, Chelsea and Amber dealing with property maintenance issues. 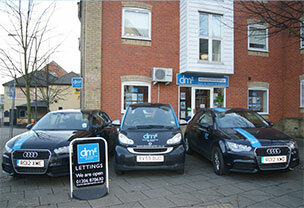 Danielle also carries out all managed property visits. Having worked for DMG since 2012, she has eight years previous experience within the business. Danielle was recently married and lives locally with her husband and two children. Chelsea has recently joined us as part of the Property Management team carrying out our routine visits on the managed properties as well as helping in the other Property Managers with any maintenance issues. Chelsea has a strong background in customer service and strives to always give the best possible service, going above and beyond her job role. Chelsea lives locally with her partner and two year old son. In her spare time she loves to socialise with her family and friends and enjoys going on dog walks with her cockerpoo, Jarvis.